Born and raised in Palm Springs, CA, Tosh spent most of her younger years professionally training to become a tennis star. When she realized that the sport was not her calling, she turned to music, having grown up with a father who loved listening to smooth jazz and Michael Jackson. Tosh understood that teaching herself how to sing or play instruments wasn’t going to bring out the very best in her talent and so during senior year of high school, she started taking professional singing and guitar lessons. It was then that Tosh knew her life was all about music and that she would seek out a professional career as an artist. In 2011, after leaving a 2 year long gig as the lead singer of a rock/pop/punk band, Tosh moved to London for a change of atmosphere and to see if she could pursue a solo music career. Soon after her big move, Tosh’s father unexpectedly passed away and she decided to come back home to Southern California. Tosh is now a full fledged solo singer with a thriving, up and coming career. She resides in Los Angeles and has had a whirlwind past few months playing almost every local LA hot spot including Sunset Strip’s House of Blues and Whiskey a Go Go. 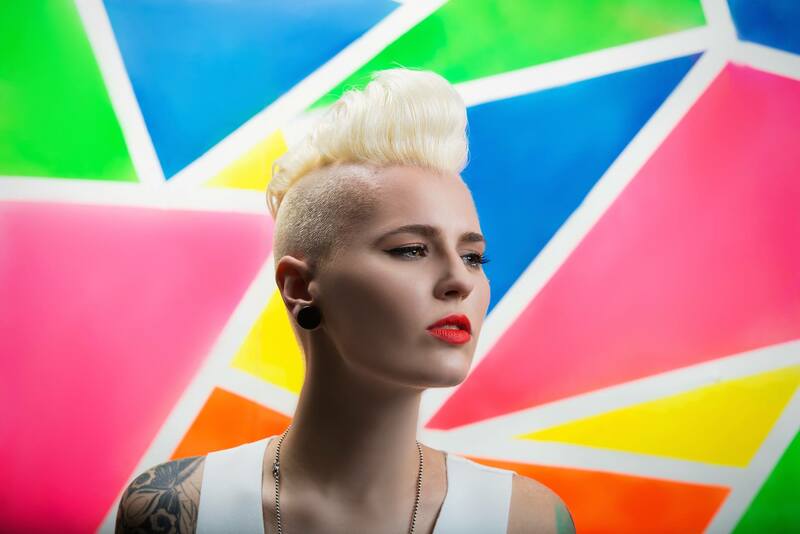 Back in May, Tosh was chosen from thousands of applicants to open up 2015’s LA Pride on the festival’s main stage, which she did so with flying colors.